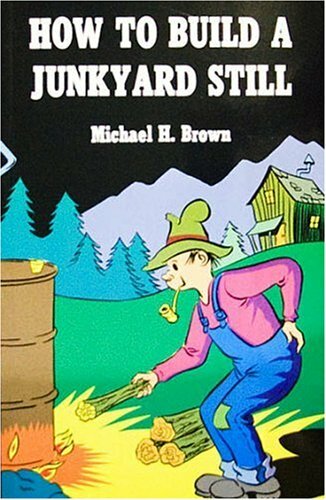 This book covers in complete detail how to build a still with materials that are readily available around your home. 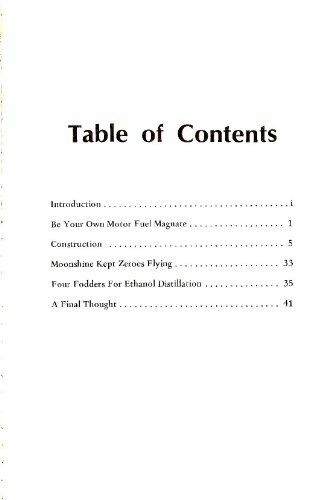 Learn the facts of using corn to produce the fuel of the future now. 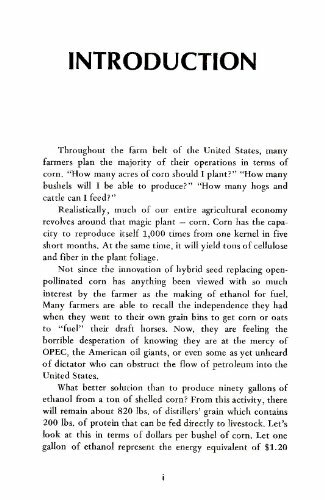 Michael Brown provides a wealth of information about the economics and efficiency of using corn to produce alcohol as a fuel and the remaining grain as feed for livestock. A timely and interesting subject that you could get hooked on. 5 1/2 x 8 1/2, 45 pages, photos, & softcover.